Canned salmon is loaded with vitamins, minerals, and healthy Omega 3 fatty acids. It is priced for budgets and convenient to use, allowing you to benefit from these nutrients far more often than you would a fresh salmon. As you shop for canned salmon, consider the quality and price as well as whether it was produced sustainably and is packaged in a way that will promote your health. Omega 3 fatty acids are critical for brain and heart health. Omega 3 may fight depression and heart disease, particularly if your diet has been low in this beneficial fat. Fish as a class is a stand-out in providing dietary Omega 3 fatty acids. Salmon is a standout among fish. 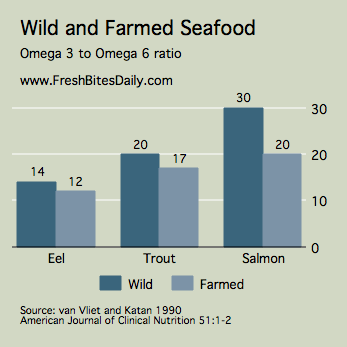 Notice in the graph at right the top Omega 3 foods on a weight basis. Salmon stands out even among this group, even without drilling down into the type of salmon or how it is raised (farmed or wild salmon). 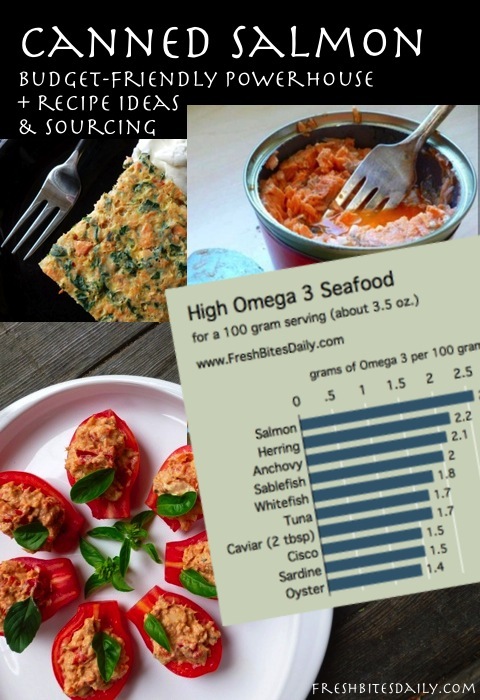 Omega 3 does vary by salmon type and its living environment but all salmon is high in Omega 3 fatty acids, driving increased consumer demand for this health food. One factor to consider as you shop is whether the canned salmon is actually wild or farmed salmon. Wild salmon will have higher levels of Omega 3 fatty acids and a better ratio of Omega 3 to Omega 6 fatty acids. Furthermore, it tends to be lower in toxins such as dioxin. However, when you find a product that is wild, do check on this online scorecard to determine if it is sustainably produced. Both Pink and Sockeye salmon from Alaska are on the “Best Choice” list. These are the two types of salmon you are likely to find canned, the only question is if they are from Alaska. It is great to eat wild salmon today and it is even better if it is still here tomorrow. If you make canned salmon a regular part of your diet (and I think you should), do a bit of research on the products available to do. If you are planning to buy it online, read our recommendation below. The Can Itself: BPA in Your Salmon? It is becoming increasingly accepted by the government and many food producers that Bisphenol A (BPA), a substance found in the lining of many cans and plastic containers, can have serious health consequences. Read more about BPA and your health at the website of the Environmental Working Group. At this point, BPA is ubiquitous in the environment and it is up to individual consumers to reduce their exposure where they can. Manufacturers make BPA-free baby bottle and toys; food manufacturers are beginning to offer canned items which contain no BPA. Our recommendation below is a BPA-free option from a company that has been an industry leader in offering sustainably harvested seafood in BPA-free cans. As you shop for canned salmon, look for a BPA-free can which should be indicated on the can itself. If you shop for canned salmon in local markets anywhere in the United States, you will typically find pink salmon which is a salmon that is most often canned. It is a solid choice and is a budget option. For flavor, however, should you be able to find sockeye salmon, you will not likely be disappointed. The salmon is nearly red in color (and is pictured here in this post). The color is deep and rich, as is the flavor. If you generally eat canned pink salmon, you will want to try canned sockeye salmon if only for the experience. For the salmon we recommend above, the flavor is so good that you need simply place it on a cracker and enjoy it. It is that good. If you are used to pink salmon, you may find this claim hard to believe, but that really is the difference between the two products. You can even buy smaller cans in the boneless and skinless variety and, along with a decent cracker, have the perfect meal ready to take to work. Canned Salmon Dip (here) at Fresh Bites Daily. Salmon Cakes (here) at Keeper of the Home. Canned Salmon Lavosh Sandwiches (here) at Fresh Bites Daily. Salmon Frittata (here) at Fresh Bites Daily. Salmon Cakes with Lemon Caper Butter (here) at Nourishing Joy. Canned Salmon Deviled Eggs (here) at Fresh Bites Daily. Wild Salmon Salad (here) at GNOWFGLINS. Creamy Smoked Salmon Dip (here) at Health Nut Nation. Seafood Paella (here) at The Humbled Homemaker. We have all made tuna salad; salmon salad is essentially the same, but with a slightly better flavor. Purchase canned salmon. If your canned salmon comes with the bones in (and many do), remove the salmon from the can and break the salmon down the middle where you find the backbone of the salmon intact. Remove the large pieces of backbone. You may remove other bones at this point if you find them, but these bones tend to be extremely tender after sitting in a can of salmon. Put the salmon in a bowl and mash it up. Add mayonnaise to taste. Add salt, pepper, and fresh chopped dill pickles to taste. Separately, toss a green salad with olive oil and a dash of white wine vinegar. Salt and pepper the greens. Pile your salmon salad on top and add other fresh salad vegetables if you have them. Tomato, avocado and cucumber are great options. Enjoy! You can find canned pink salmon locally for the most part. Stores such as Trader Joe’s and Whole Foods carry their own private label salmon. If you are shopping online and you have a bit of a budget, there is one place we recommend that fits the criteria we have laid out here and is the most exquisite canned salmon you will eat. Buy this canned salmon — it comes with our highest recommendation. You may find yourself hoarding it from the rest of your household. Buy canned salmon by the case for bulk pricing and to save on shipping. As added assurance, this canned wild Alaskan salmon gets a green-light from environmental watch-dog groups: Monterey Bay Aquarium says, “We believe wild Salmon from a well-regulated fishery is the most environmentally sound choice. Alaska’s wild salmon fishery is healthy and well-regulated”. Should You Buy Boneless/Skinless or Bone-In/Skin-On Salmon? Most canned salmon will come with the skin and bones. 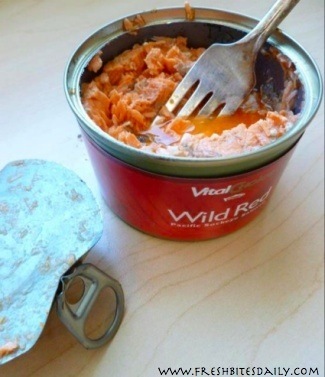 If you are new to canned salmon, this might be a revolting development in your kitchen experience. If you are ordering from our recommended vendor, you do have an option. You will pay a bit more for the boneless, skinless canned salmon, but it may be worth it to you. If you are eating this salmon on crackers at work (which I cannot recommend highly enough), you will probably be more satisfied with the boneless, skinless option. However, we do buy the traditional product with the bones and skin because, first, we are cheap. Second, the skin and the gray layer just under the skin are a great source of Omega 3 fatty acids that we do not want to miss. If there are large bones in the can, we tend to pick them out. The smaller bones are not all that noticeable, especially if you are making a salmon salad or salmon patties from your canned salmon. Salmon is loaded with Omega 3 fatty acids but you will also be happy to know that in 100 grams of canned salmon (about 3.5 ounces), you will get a great supply of minerals as well. Canned sockeye salmon (as pictured in the graph above) includes a good bit of potassium, magnesium, iron, zinc, and calcium. It is a great source of vitamins B-2, B-3, and B-12. As you explore the table below you will see that it contains high levels of selenium as well. 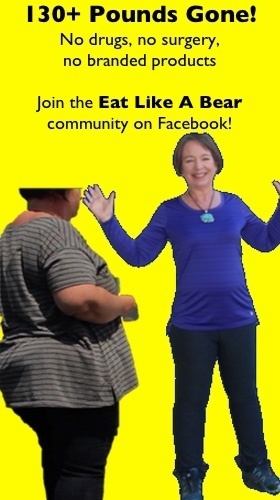 *The daily value is based on a 2,000 calorie per day diet. Enjoy your salmon salad on a sandwich, as a salad topper, or by itself. It is a good source of calcium and many other micronutrients, including the beneficial Omega 3 fatty acid. 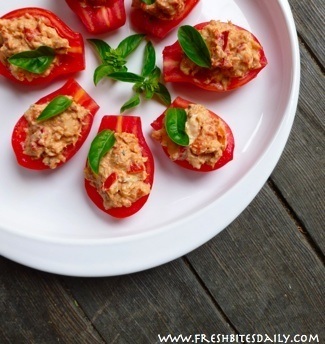 Photo credit: These canned salmon photos are from our top choice in canned salmon.